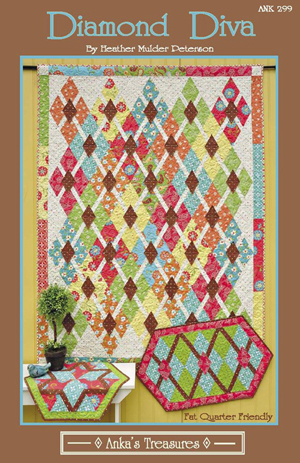 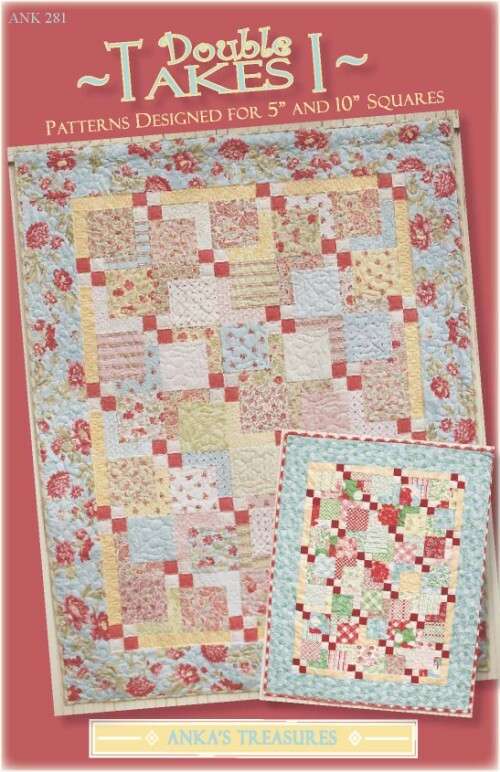 Diamond Diva ~ The quilt features strip pieces diamond blocks with raw-edge appliqued center diamonds. 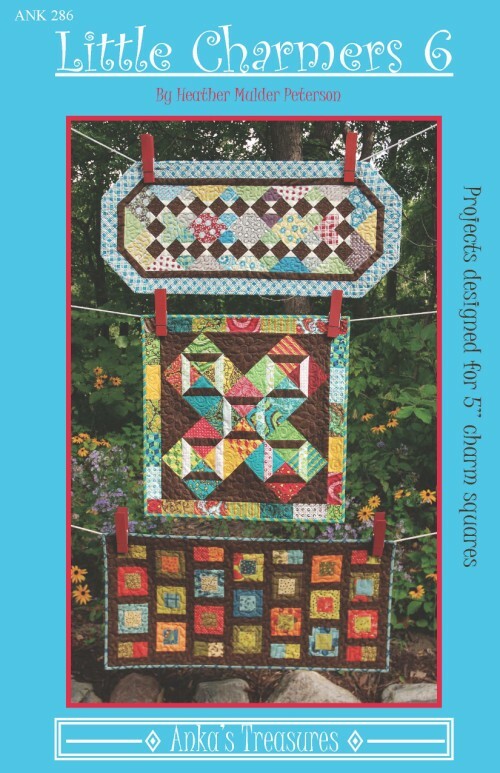 Requires 12 Fat Quarters. 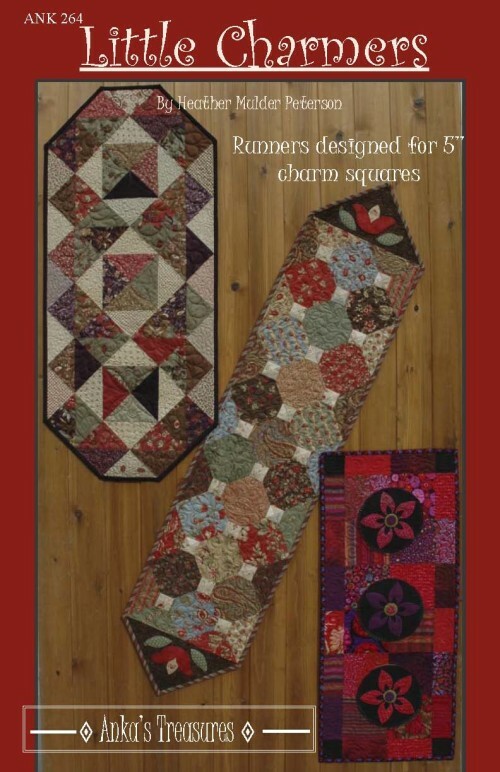 The pattern for the Argyle runner only takes 4 Fat Quarters and about an hour to make! 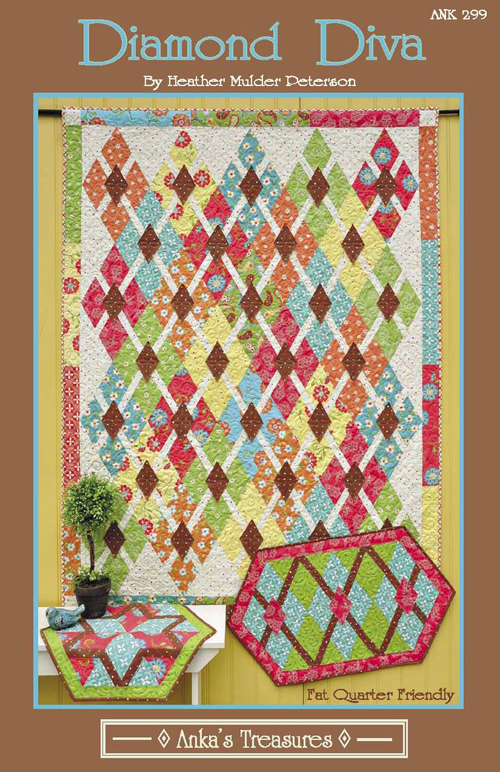 This pattern also has a little octagon topper included. This one takes only 3 Fat Quarters - one for the center, one for the border, and one for sashing and binding. 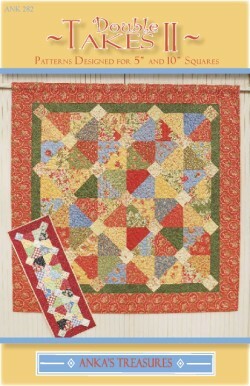 I happen to like the center done up in two colors - as shown below. 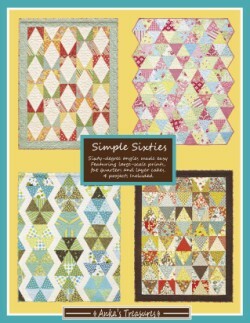 It requires 6 Fat Quarters, but then you get two toppers out of the deal. 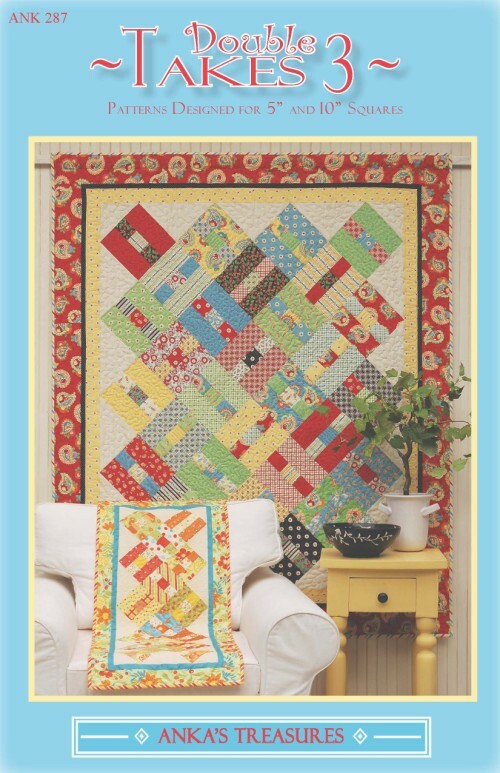 To purchase this pattern, please visit our online store. 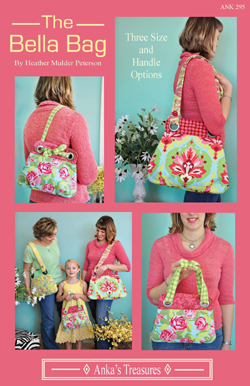 3 size options are included for the bag, along with several different handle and interior pocket options. Chic details like grommets, buttons, and handle shaping give un up-scale look. This pattern features 4 projects made with 60 degree blocks cut out of Layer Cakes or Fat Quarters. 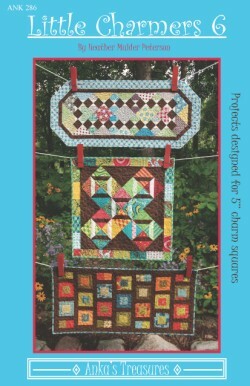 Three patterns designed for 5" charm squares. 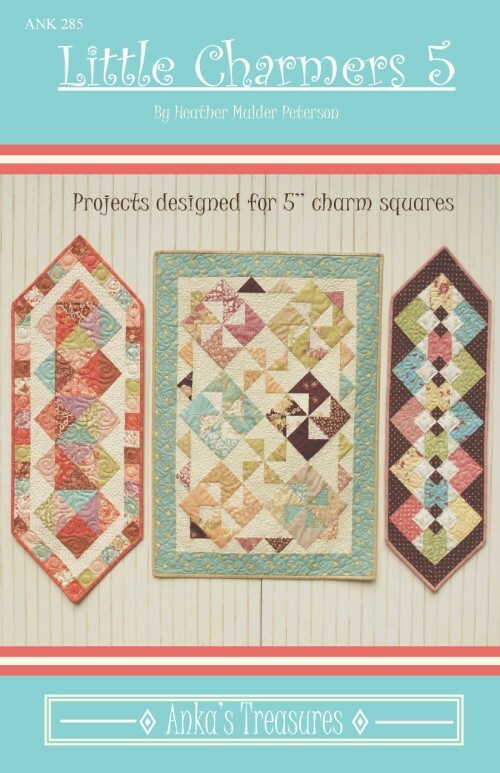 Three projects designed for 5" charm squares. Pattern includes a large project made out of Moda's 10" Layer Cakes, and a smaller version made with 5" charm squares. Pattern includes a Memory Quilt, Bib, and a Tote bag. 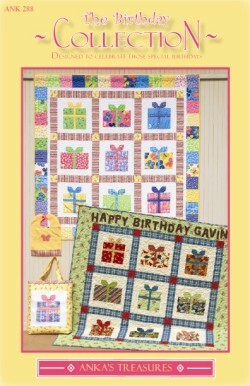 Each block is number and signed by everyone attending the birthday party that year! 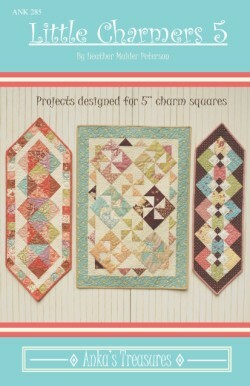 Pattern includes a large version made out of 10" Layer Cakes, and a smaller version made out of 5" Charm Squares. 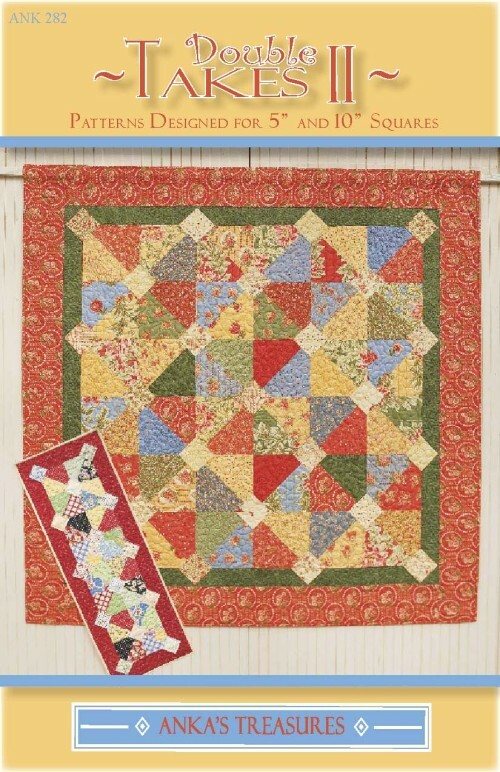 Retail -- $8.50. To purchse this pattern, please visit our online store.